Understanding Jesus' high priestly role goes a long way to explaining his death was a gift to us not a punishment. I was pondering this question while sitting in my local church as the ministerial team prepared us for the events of Holy Week – Palm Sunday, Good Friday, Easter Sunday. Now a friend of mine tells me his astute young daughter asked him the same question at a Dairy Queen no less. And she wants no pat answers! It’s a better question than you think. After all, if God can do anything why could he not simply with a wave of his hand say “I forgive you” and let bygones be bygones? Of course that proposition is not as simple as it sounds. One thing we humans often forget is the Biblical revelation of God’s holiness. Also, remembering that absolutely engrained catalogue of human evil that marches across our nightly news set against God’s supposed goodness, that rampaging evil that has defiled the earth these past millennia, these considerations makes it imperative for believers in God to listen to those who say that there must be some kind of justice for all those who have died horrible deaths…and still do so today. Justice. There’s a concept. Inwardly we all crave it, especially when we are on the receiving end of injustice. A teacher would face a rebellion in class if he gave A’s equally to the whole class – the slackers, the sullen, the snarky and the absentees who don’t even show up. Likewise, God’s holiness and God’s justice must somehow be added to his reputation for mercy and compassion. Allowing injustice to range freely seems to violate something inside us, to go against the way things should be. Ah, there’s the rub – or several of them actually. Every parent faces that dilemma with their children on occasion. The Bible shows forth a God never blasé about human evil and injustice. He is angry with the wicked every day (Psalm 7:11). Jesus’ parables reflect this flaming sense of God’s justice (Matthew 18:32, 21:40). Without considering this side of God we may forget to turn to him and his loving concern the next time we ourselves experience unjust suffering. I can forgive my careless neighbors who inadvertently let the dog into our beautiful living room to mess it up but…if they did it again…hmmm. Learned theologians have labored long and hard to explain the mysterious aspects of how Jesus achieved our reconciliation and future glorification through the painful work on the cross. Our task is to accept what has been done for us. This background is needed to answer the question: Why Jesus had to die. Christian teachers have discussed this subject for centuries under the theme of the “dark mystery of the Atonement.” Wise men (and some unwise) have wrestled with this issue across the centuries and have made some amazing headway, though ultimately a sense of mystery always remains. The Atonement sounds very theological (which it is) but it is a cardinal Christian teaching. 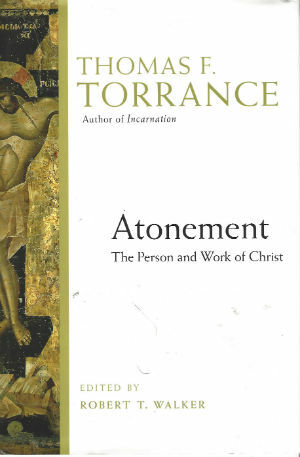 The respected Scottish teacher Thomas Torrance defines atonement as “[the] personal intervention of God in Christ reconciling the world and restoring it to one-ness with God.” Embedded in the word is the notion of being “at-one” and Jesus is described as the One through whom we have received the reconciliation in Romans 5:11. Some translations call him “the atoning sacrifice” from St. Paul’s statement in Romans 3:25. The bloody death of the Son of God outside Jerusalem in the 30s AD provoked Christian thinking along several different paths. The early church stressed the Christus Victor theme. Jesus was not defeated but triumphant on the cross, spectacularly defeating his vicious enemies by “going through death and coming out the other side” in a resurrection. In Paul’s phrase he “disarmed the rulers and authorities and put them to open shame by triumphing over them” (Colossians 2:15). For those like Peter and John who had seen their beloved teacher humiliated and apparently defeated in a public execution, this was a primary lesson from Jesus’ bloody sacrifice of the atonement. But St. Paul went on to explain that it wasn’t just the Romans and the Jerusalem hierarchy who were overthrown in Jesus’ death and resurrection. No. The invisible forces behind them were also defeated. His victory was cosmic which is why Ephesians 6:12 references the more real struggle against “the spiritual forces of evil in the heavenly places” (Ephesians 6:12). Not just the Romans but Sin and Death as malevolent powers were defeated as well, though their dying counter-attacks are still with us. This early explanation of Jesus’ death has much to commend it, especially in places such as North Korea and Iran where oppression and persecution still exist. Later in the 200s a bishop in southern France took this “force meets force” in a slightly different less power-oriented direction. Irenaeus stressed Jesus as the Second Adam. The world that was undone by Adam’s sin was given new hope by Christ the Second Adam. Jesus went through all the stages of human life, died and arose victorious from the grave. The benefits of that victorious resurrection can be applied to us today, we who are living “in Christ” and look forward to full at-one-ment with him in the Kingdom yet to come in its full expression. Irenaeus’s teaching had much going for it. It exalted the heavenly role of Jesus and was seen as more Biblical than the Ransom Theory coming out of Alexandria. There, a Church father named Origen (185-255) speculated that Christ’s death was the Ransom price paid to Satan for our deliverance. Satan killed the Lord but was the ultimate loser though Jesus’ resurrection. Now, while Jesus described his death as a Ransom (Mark 10:45), this view makes God seem too much an ingenious plotter rather than a loving Father, but even Martin Luther was intrigued with this idea for a while. In his role as the atoning sacrifice, Jesus the eternal Son, had chosen to suffer greatly on our behalf. This stress on Jesus death was elaborated upon in the Middle Ages by another bishop named Anselm. Anselm’s “Satisfaction Theory” made sense for people living in a Lord/Master relationship in the Europe of the 1100s. It went like this: By sinning we owed God many debts that had to be atoned for. Jesus as the Second Adam came to live a perfect life and not only cancelled the debt we owed but compiled “merit points” that could be applied to our individual cases. 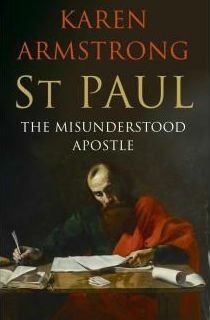 Paul labored long and hard to explain the Atonement was all about our adoption back to God as his children. There is some truth to this teaching in the sense that it brings human sin and failure into view. The downside was that it not only tended to set the Father as a stern Master over against the redeeming Son but strengthened the idea that by zealously serving Mother Church, individual Christians could somehow acquire “merit points” with God. Against this implication, some teachers focused on Christ’s work on the cross not as an act of vengeance or wrath on God’s part but as a supreme act of love, a demonstration of the lengths God went to save us from ourselves, Sin and Death. This is called the Moral Influence theory i.e. on the cross God gave the world a demonstration of his mercy and love and this is meant to move us to embrace God in love and gratitude for his saving actions in Christ. This view lingers today as it brings God’s loving, non-coercive nature into it and gets God the Father “off the hook,” so to speak, from any notions of God as an angry vengeful Enforcer. Later on the Government Theory of Atonement echoed this by showing God displaying his fairness and justice by offering one perfect life to be sacrificed for all – the One for the Many. Christ as God in the flesh and our Champion accepts the penalty of sin to allow God to forgive us all. This is God’s justice acting out of mercy. Rather than set the Father and Son subtly against each other, we need to see them both as involved in working for our Redemption. This leads us to the standard and most accepted teaching today, coming out of the explosive upheaval known as the Protestant Reformation. 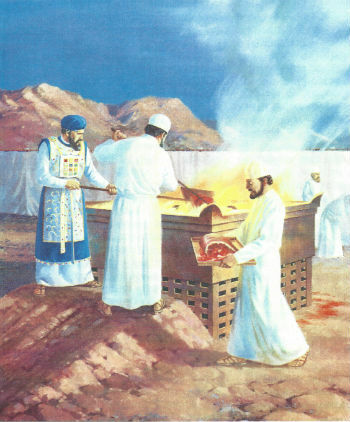 For centuries God had the Israelites drill home the principle of a substitutionary sacrifice. Today, substitution or the Substitutionary Atonement is the mainstream position in much of the Protestant world to explain why Jesus had to die. Some like to add the idea of “penal” to it and some do not. Of course, certain key ideas have stayed central across Christian history. We sinned. Jesus died as a sacrifice for sin, the just for the unjust. The barrier between man and God has been removed. Jesus was not punished he voluntarily submitted himself to death to make our reconciliation back to God possible. This is the background to the slogan we see painted on barns, rocks and billboards: “Christ died to save sinners.” This simple statement from 1 Timothy 1:15 has much going for it. Luther liked the message of 2 Corinthians 5:21, “For our sake [God] made him to be sin, so that in him we might become the righteousness of God.” John Calvin, drawing on earlier work of Irenaeus and others, saw in Jesus’ death “the wonderful exchange.” He added: “Christ became what we are so that we might become what he is.” Substitutionary atonement incorporates many aspects of mature Christian thinking. It exalts the Son’s work on the cross as our Great High Priest intervening on our behalf, absorbing the full penalties of sin, becoming a curse for us and dying a criminal’s death so that the fullest demands of Law and Justice could be met. In our time, Thomas Torrance has stated that the notion of Jesus’ interceding Priesthood improves upon the almost “mechanical” implications of earlier views – that his death was a transaction that had to be done to “balance the account books.” It also moves the Atonement out of the court-room analogy. Here now the legal demands against us are satisfied in Christ becoming a curse for us on the cross, in our place as a substitution. It also links Father and Son together in the working out of our common salvation. That last phrase is crucial for setting the Atonement in the even wider realm of God’s ultimate purpose to “bring many sons to glory” (Hebrews 2:8). How so? Well what is the Father’s good pleasure? Was it Jesus’ death? Once a lady wrote me saying how she could not see how another death (Jesus on the cross) was something to celebrate as on Good Friday. Good point, except that one life lost was the Creator of all, the One for the Many. A holy God foreseeing human sin knew that an atonement would have to be made. Thus we read about “the Lamb slain from the foundation of the world” (Revelation 13:8). Sin is the barrier between God and us. In his mercy and grace God slew an animal to clothe Adam and Eve after their disobedience – the first shedding of blood for sacrifice. The consistent Old Testament theme of sacrifice prepares us for the Substituionary theme that is preached fulsomely today. It goes a long long way in showing forth the purposes of God. The answer here takes us even deeper beyond Jesus’ willingness to die on the cross as the pivotal act in the divine purposes at work. Jesus not only died, he was resurrected and ascended to take his place again as the eternal Son in the heavenly places. That was the pattern beautifully sketched in Hebrews 9:11-14. But even more so, when he went to heaven with his own blood – symbolically speaking – he also took us with him in that deep spiritual sense of thinking “beyond the veil” we see in the Book of Hebrews. In Romans 8:15-17 Paul coined the best one-word summary of what God’s ultimate purpose is all about. That word is adoption. Through Jesus’ death, burial and resurrection and ascension we are joined to another Family, the heavenly family in the heavenly realm. This is why Jesus is called our brother and we his joint-heirs, inheritors of the Kingdom yet to come in all its fullness when God’s purposes reach maximum fulfillment (Romans 8:15-17). Let’s remember, the holy God would be acting unjustly if he simply “waved aside” human sin and catastrophic evil. Jesus entered into our darkness, our sin and alienation, took it upon himself voluntarily at the cross, dismissed its ultimate hold over us and then furthered the good purposes of God by adopting us with him into the family of God. He did this by sending the Holy Spirit, the Spirit of sonship, as his Agent to accomplish all this. In all this the example of the cross is pivotal. It is a work of rescue we humans can understand even if we chose the limited analogies of the court-room and the account ledger. The powerful life-transforming message of the cross is connected with the full realization of what a holy God intended from the beginning. By suffering the full assault of evil while living among us, by suffering an unbelievably painful and humiliating death, Jesus became the Brother of all sufferers and also their Rescuer, Redeemer and Restorer to what God had in mind in the first place. Therefore God has highly exalted him and given him preeminence in all things in heaven and earth and the purposes of God move forward, now and forever, Amen.